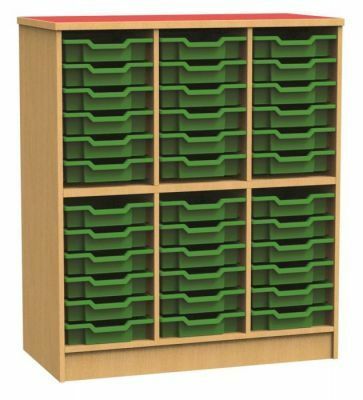 An open storage unit capable of holding 36 Gratnell shallow storage trays in a great selection of colours. Great for high capacity storage situations and delivered in 15 - 20 days. Comes assembled and ready to use.